Delta Optical Titanium 10x56 ROH - binoculars review - AllBinos.com . 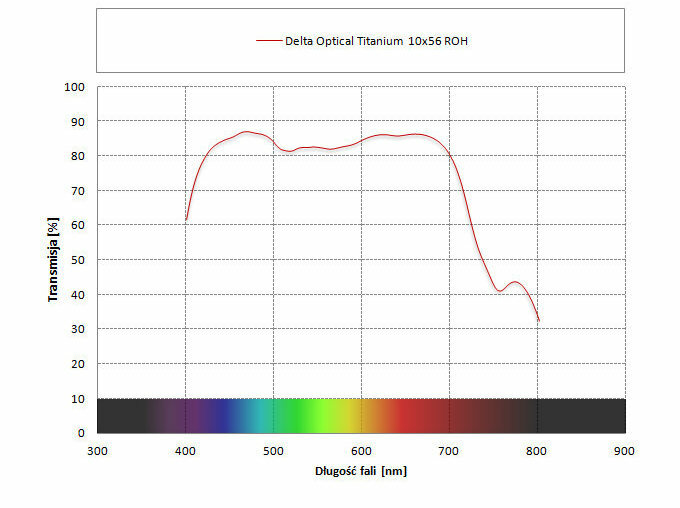 In 2011 Delta Optical offered their customers a handy 8x56 roof model with good optical properties. Mind you they didn’t take the line of least resistance by just ordering a pre-produced model from one of Chinese factories. They created a new piece of equipment instead, a far more difficult thing to do, and it arrived without the casing to Poland for initial tests. Those tests revealed some flaws which, hopefully, were removed from the final product, and the outer casing was also designed in Poland. 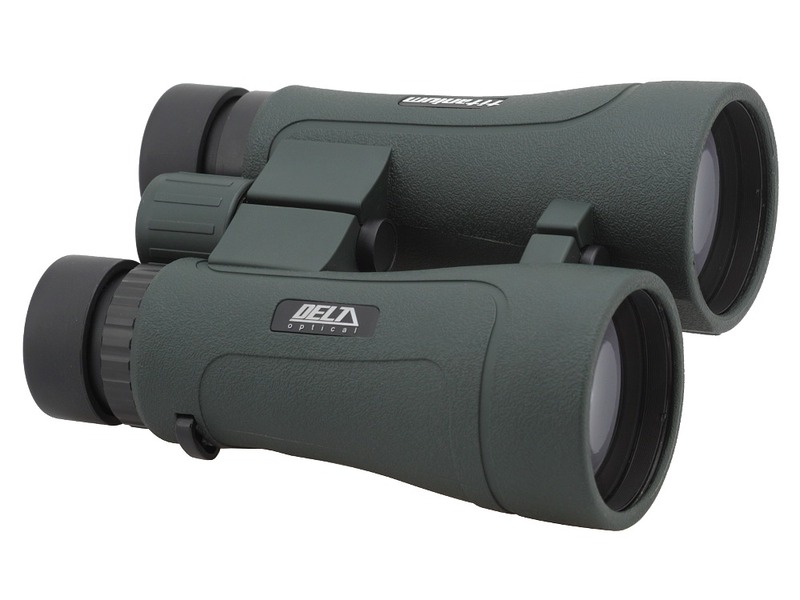 As a result the company got a pair of binoculars which optical construction and physical appearance they could influence. The equipment didn’t perhaps earn a ‘Made in Poland’ label but it was certainly designed in Poland as the producer boast about on the casing. 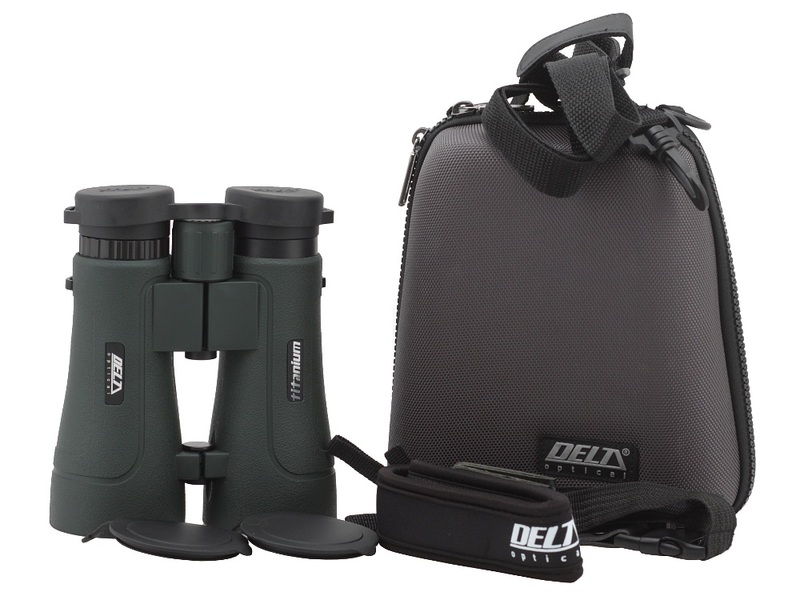 After a very positive reception of the 8x56 model Delta enlarged their line-up by 10x56 and 12x56 binoculars launched in 2012 and 2014 respectively. 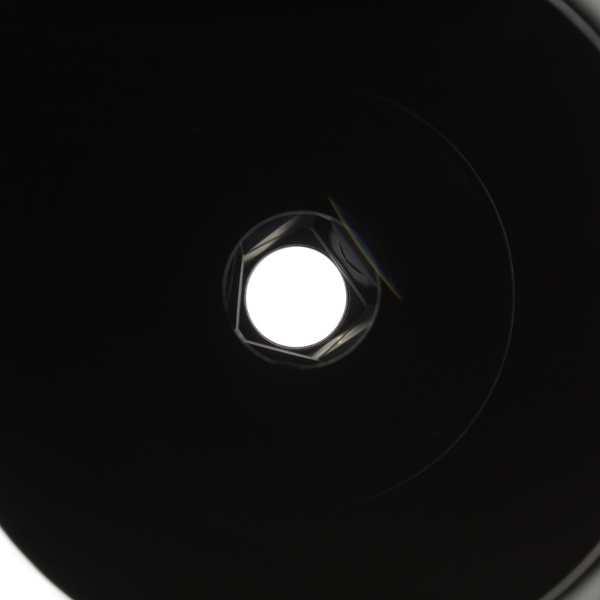 The DO Titanium 10x56 ROH is a small and handy roof instrument with Schmidt-Pechan prisms. Its reflective surface is supposed to be covered by enriched aluminum layers. 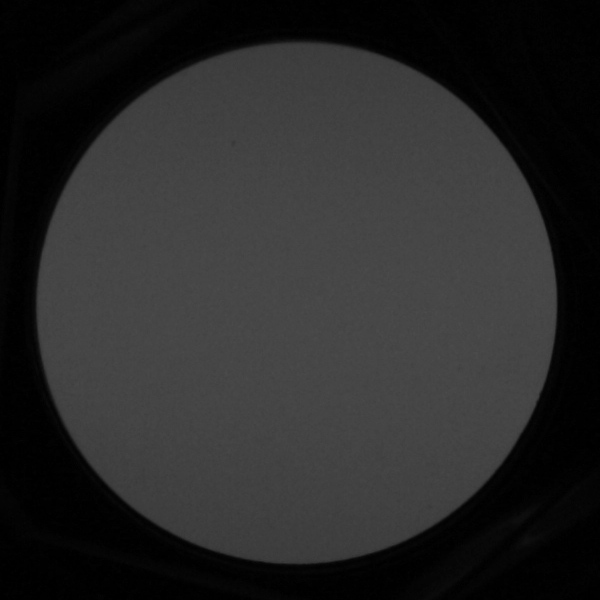 Apart from that all air-to-glass surfaces feature multilayer antireflection coatings. Buyers get objective caps, a rainguard, a strap and a hard case in the box. 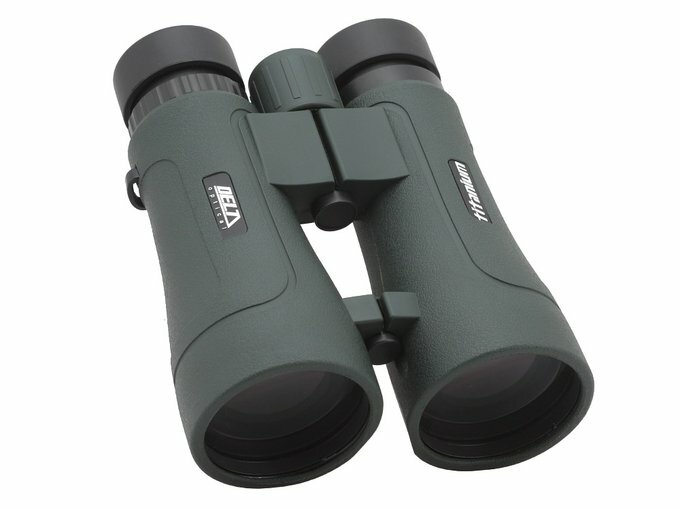 The binoculars come with a 5-year warranty period. sharp image already from less than 1.5 metres. a bit too high coma. 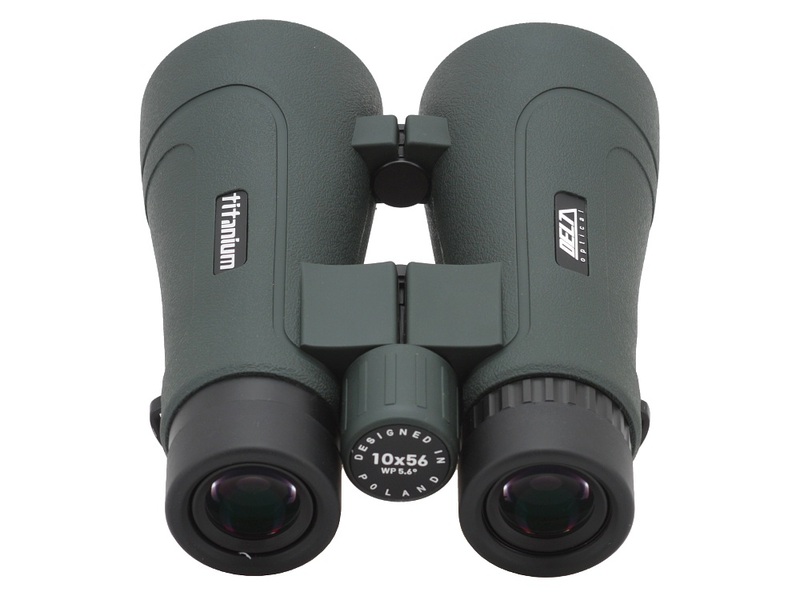 The test result of the Delta Optical Titanium 10x56 ROH, a bit better than that of its 8x56 brother; was able to exceed a very good level of 130 points, mainly due to the fact that the binoculars are practically flawless. Perhaps it sounds strange in a case of a piece of equipment costing just 300 Euro but such is the truth – there are no serious slip-ups here. Of course the device lost some points for coma correction, chromatic aberration correction or loss of brightness on the edge of the field but these weren’t serious losses. 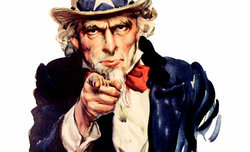 Even for the weakest categories its performance can be easily called medium or at least acceptable. The transmission graph, presented below, is an interesting thing. First of all it is completely different than the graph of the 8x56 model. 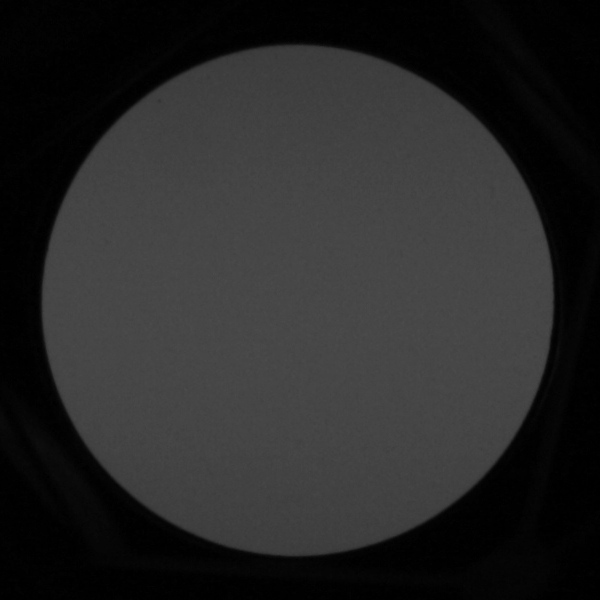 Perhaps it’s due to a different eyepiece construction but I suppose the factory producing the DOT 10x56 ROH has been experimenting with coatings. There might be even changes between particular supplies and batches. The total transmission level doesn’t bowl us over, especially as you deal here with a night instrument, but the graph is quite flat, with a noticeable surplus of blue, so the colour rendering is very good indeed. 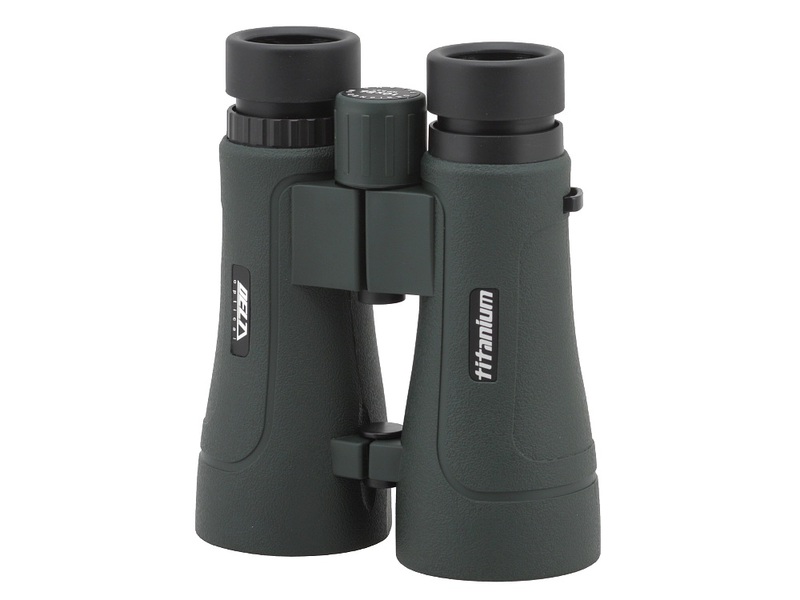 To sum up you get a shapely, handy night instrument for a very reasonable price, perfect for the elderly or those who prefer higher magnification than 8x56, usually offered in that segment. 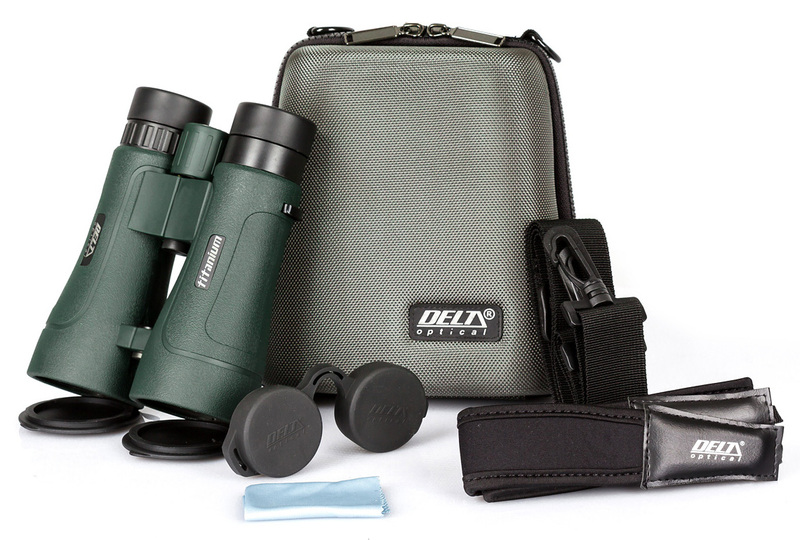 Delta once again managed to achieve their specialty – a very good product with a very favourable price/quality ratio. A way to go!